12/6/18 Orchids in full bloom everywhere! 16/3/18 Red Kite at Aller Cross - how soon before they're common over Meshaw? 14/3/18 Two hundred starlings shouting their heads off in a garden. Probably a temporary dispersal from the Kitcott mob. 12/3/18 Rook. The rookery at Kitcott had blown right out in storms. Now 17 new platforms are in progress with rooks bringing in nest material all the time. c. 32 birds up in the rookery today. 11/3/18 Red Deer. 4 stags, 3 or 4 points, seen leaping hedges at dusk. They disappeared into oak woodland. 9/3/18 Starling. c. 2,000 birds performing ''Murmuration'' aerobatics over Southdown/Kitcott area. 3/3/18 Red Kite. One adult seen over Meshaw & at Aller Cross. 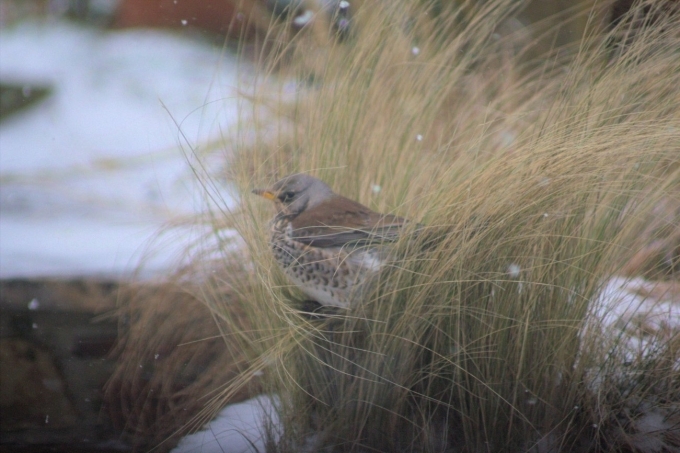 "These are Fieldfare & are really beautiful birds. 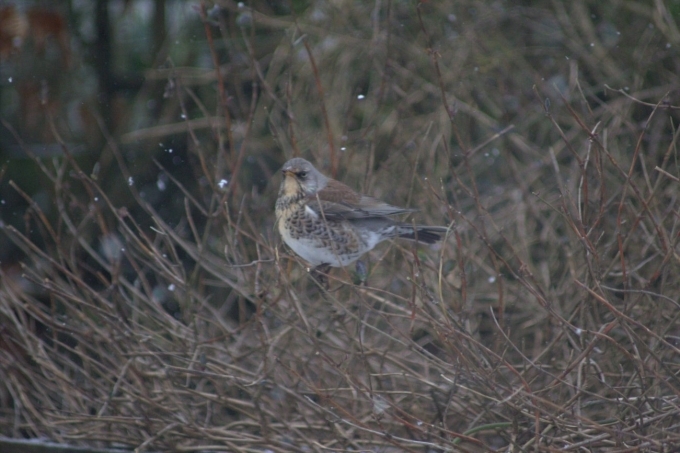 They are in the same family as our Blackbird & Song Thrush, they come here in the Winter along with Redwing from NW Europe. Pushed eastwards by the cold weather & looking to eat all the berries in our English hedgerows!"